Now, for some specials...they are doing something similar to the Scraps N’ Pieces offers, but not exactly. First, their entire SNP store will be on sale from 1/16 to 1/31, at least 50% off everything! Next, be sure to keep an eye in the forum and on their facebook page, they will be having very limited special offers at random times--we’re talking coupons, free products, fun stuff like that! While all that is going on, you will be able to earn a coupon for up to $6 to their store by completing the ‘challenges’ you will find HERE in the SNP forum! 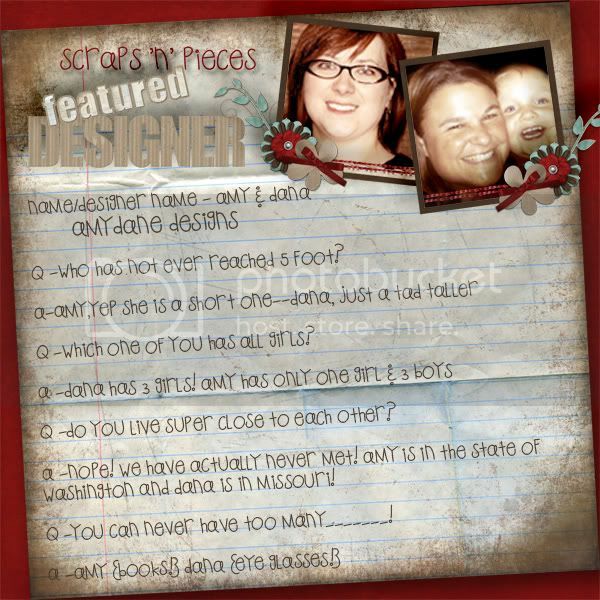 Speed Scrap #31 by Karen Diamond (aka scrapN2Nspire) at Scraps-N-Pieces Monday night at 8pm cst. The prize is her "New Beginnings Kit".